Will Hoskin-Elliott is celebrating a milestone in his recovery from a leg injury. 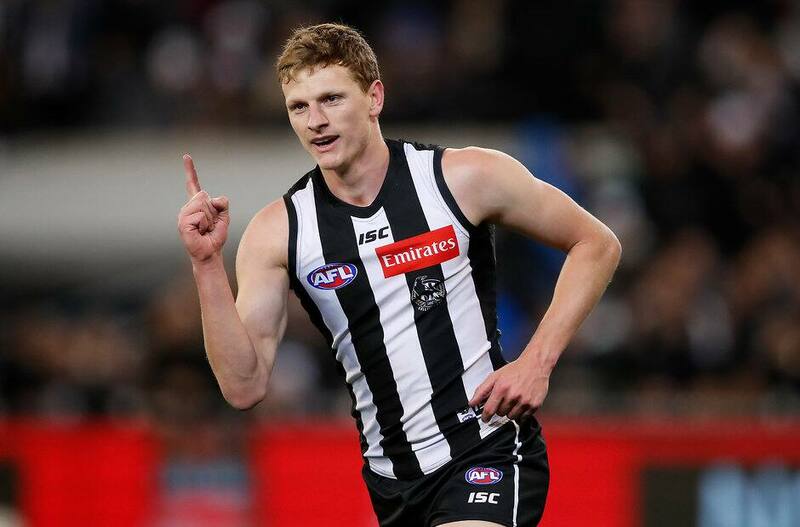 The 25-year-old, who kicked 42 goals in 2018, returned to full training when the Pies had their main session of the week on Wednesday. “I was really pumped to be out there,” Hoskin-Elliott told Track Talk. Hoskin-Elliott is aiming to return to on-field action, most likely in the VFL, in the second half of April. “Just (need) to get the fitness base back up, get some load back into the legs, then hopefully progress from full training to play in the next couple (of weeks),” he said.